Diabetes is a chronic disease that has reached epidemic proportions worldwide. And, when left uncontrolled, diabetes can have serious health consequences such as heart and kidney disease, blindness, loss of limbs and other health issues. While medications can help diabetics maintain safe blood sugar levels, diet is the most important natural treatment for the disease. Why Does Eating Too Much Sugar Matter for People with Diabetes? Carbohydrates, protein and fat are the macronutrients that provide our bodies with energy. Of these three macronutrients, though, carbs have the largest effect on blood sugar by far. This is because carbs are broken down into sugar, or glucose, and absorbed into the bloodstream very quickly. Now carbs themselves include starches, sugar and fiber. But fiber isn’t digested or absorbed by the body in the same way as other carbs are, and therefor doesn’t raise your blood sugar. This is why it is always healthier to eat a whole piece of fruit instead of drinking just the juice. The fiber in whole fruits limits the affect of the actual fruit sugars on your blood. It’s important that diabetics pay attention to how much carbohydrates they eat per meal. Too many carbs at any one time can raise their blood sugar to dangerously high levels. Over time, high blood glucose levels begin to damage your body’s nerves and blood vessels, leading to heart and kidney disease and other serious health problems. If you are a diabetic, the absolute best thing you can do for your health is to pay close attention to the foods you eat. With this in mind, here are 5 foods you should absolutely avoid because they can spike your blood sugar quickly. I had to start with this one because sugary beverages like sodas and coffee and sports drinks are the absolute worst “food” for diabetics. For example, a typical 12-ounce can of soda has 38 grams of sugar! Same with a can of sweetened iced tea or lemonade, each generally has 36 grams of carbs in the form of pure sugar. 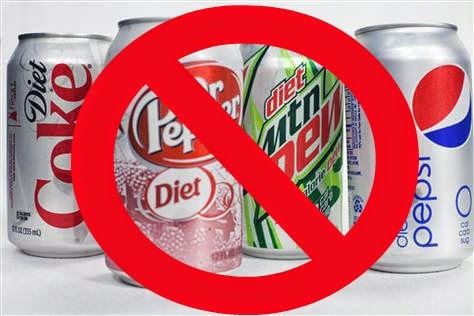 Studies have shown these sugary beverages have been linked to the development of insulin resistance and diabetes. Your best bet when it comes to beverages is to drink water, club soda and unsweetened ice teas. White bread, rice and pasta are processed foods that happen to be very high in carbohydrates and can easily raise blood sugar levels. One reason they are so bad for diabetics is that they contain so little fiber to slow down the absorption of sugar into the bloodstream. If you are a diabetic, it is best to choose high-fiber alternatives that can keep your blood sugar in check. They say that breakfast is the most important meal of the day. But how many of us start it with sugary foods like sweetened cereal? Cereals tend to make big health claims right on the front of the box. This one is “all natural” and that one is “made only from the freshest ingredients.” But despite all of these claims, the majority of cereals lining store shelves are highly processed and contain more sugar than most people realize. They also typically contain little fiber or protein and offer little in the way if important vitamins and minerals. And no, granola is not healthy. Read the back labels. There are certain brands of granola (you know who you are!) that contain as much as 30 or more grams of carbs. To keep your blood sugar in check, skip breakfast cereals and opt for protein-based meals instead like a cheesy omelet or protein shake. Another food item that many people assume is healthy, because advertisers tell us it’s healthy, is yogurt. Now, plain yogurt can be a great choice for diabetics and others as it offers calcium and beneficial bacteria. But fruit-flavored yogurt is a whole other ballgame. These versions are typically made from non-fat or low-fat milk and loaded with carbs and sugar. Don’t believe me? Check this out… a one-cup serving of flavored yogurt can contain a whopping 47 grams of sugar. That means nearly 81% of its calories come from SUGAR. And while we’re on the subject of yogurt, let’s talk about yogurt of the frozen variety. Many people believe frozen yogurt is a healthier choice than ice cream. This is a leftover concepts from the low-fat diet craze of the 90s. Frozen yogurt can have just as many if not more sugar than regular ol’ ice cream. When choosing any kind of yogurt product, read the label to see exactly what you’ll be eating. Opt for plain whole-milk yogurt that contains no or little sugar. Now this one may confuse you because I have already said that eating the whole fruit is better than just drinking the juice. So why is dried food out? Well, dried fruit isn’t exactly ‘whole’ anymore. When you dry it, you take away its water content, and that can lead to even higher concentrations of sugar. Shockingly so. One cup of grapes contains 27 grams of carbs, including 1 gram of fiber. By contrast, one cup of raisins contains 115 grams of carbs, 5 of which come from fiber. That is THREE TIMES AS MANY CARBS! And other dried fruits are similarly higher in carbs when compared to their fresh counterparts. If you have diabetes, you don’t have to give up fruit altogether. Simply avoid dried fruits and choose fruits low in sugar such as berries and melon. In general, diabetics should make a concerted effort to eat natural, organic whole foods like fruits, vegetables, meat, eggs, fish, nuts and seeds. Stay far away from processed, packaged and fried foods for optimal health. If you have type II diabetes and are tired of injecting yourself with insulin, I’d like to share some fantastic news. You do NOT need to be dependent on medication any longer. In fact, I’d love to share with you how one 59-year-old diabetic man slashed 80 points from his fasting blood sugar — literally overnight! Drugs and Insulin failed to budge his dangerously high numbers. But then he discovered an all-natural protocol that help him have steady blood sugar levels without need of drugs. Find out how you can do the same thing.